OnBoard is an annual coastal travel and lifestyle magazine and website with engaging editorial content penned by top travel writers. 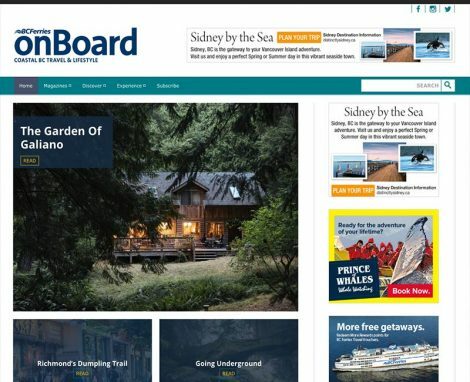 Content focuses on the intriguing communities, people, experiences, history and wildlife in the region served by BC Ferries. With 20 million passengers annually, BC Ferries is among the world’s premier marine transportation systems — and onBoard is your way to be part of the peak coastal travel season.